Beautiful sunny apartment with a bedroom with double bed, bedroom with two single beds, large room with double sofa bed decorated in Catalan style with colorful ceramics; counts with TV, DVD and VHS player, brand new kitchen equipped with all amenities (microwave, extractor, dishwasher, washing machine and iron) and bathroom. The residence offers high standing to make that your vacation is truly a vacation! Large pool (really) and toddler pool with slide, also play area, jump fitness equipment, recreation room with table tennis and soccer, goalkeeper, private parking and free wifi. Bathroom completely renovated in February 2015 !! Perfect fit, made a perfect trip! We had a perfect stay in this beautiful apartment. The rooms are spacious and furnished with very nice furniture with lots of character (we have stayed previously in apartments in the Costa Brava, most of them end up looking the same, but not this one!). The pool outside is big and very convenient when you have a lazy day. The "cales" are just a short walk from the apartment, very close to the "el camí de la ronda ". Beautiful scenery, would rent again without a doubt! Appartement très confortable et pratique. Equipements de la résidence extraordinaires, surtout la piscine et le jardin. 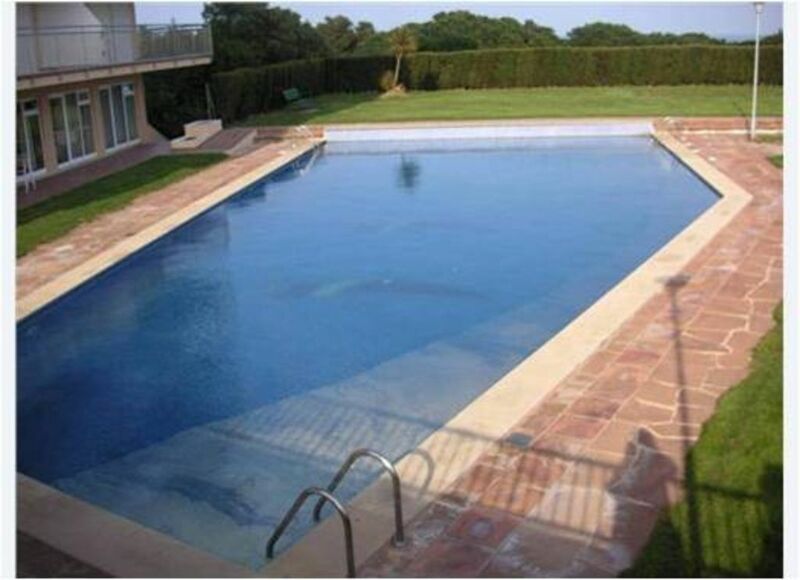 The apartment is in a very well kept development with beautiful views and a great pool. However, it is quite dated and the bathroom in particular was far from satisfactory and not very clean. Beaches are stunning but are unsuitable for young children and are only walking distance if you are fit. Also, a car is essential as there are no shops close by and the walk back from San Feliu is too steep to be carrying provisions. Apartamento acogedor con bonitas vistas. Mi familia y yo hemos pasado unas vaciones estupendas en Sant Feliu de Guixols. El apartamento es acogedor, limpio y esta bien equipado. Las zonas de la piscina, el gimnasio y la sala de juegos estan muy bien cuidadas y son ideales para jovenes y mayores. Alrededor de esta urbanizacion hay unas vistas preciosas del mar y de la cuidad y tambien puedes ir andando a las playas y a la cuidad sin necesidad de alquilar coche. En resumen , un sitio muy recomendable para vacaciones en familia o con amigos. L'appartamento era pulito e confortevole. È un buon punto di appoggio per qualsiasi tipo di spostamento e permette di spostarsi tra diverse bellissime spiaggette. La piscina é grande e la vista é fantastica. In the heart of the Costa Brava, located between Sant Feliu de Guixols and S'Agaro Beach, is this residence of high standing, magical landscape in an exceptional place. For lovers of the sea: a two-minute walk away breathtaking landscapes in a protected area called Cala Atmeller, with many coves for diving and underwater fishing and the Cami de Ronda for trekking along the coast; for those who love the sandy beach at 5 m find the famous beaches of S'Agaro and Sant Feliu. In addition to 5 km is Platja d'Aro, a place that offers bars, pubs, cinemas, bowling, disco, restaurant to everyone and all kinds of shops and international brands. To go shopping to 5 feet but found all kinds of shops and supermarkets. If you are a family with small children in the residence you'll have a great, great and small pool with slide! They will have a blast and you can enjoy your holiday in all serenity. 30% di acconto alla prenotazione non rimborsabile.